Print your 3D model in fluorescent yellow with the Monoprice 1.75mm ABS Filament. ABS stands for acrylonitrile butadiene styrene and is an oil-based thermoplastic. 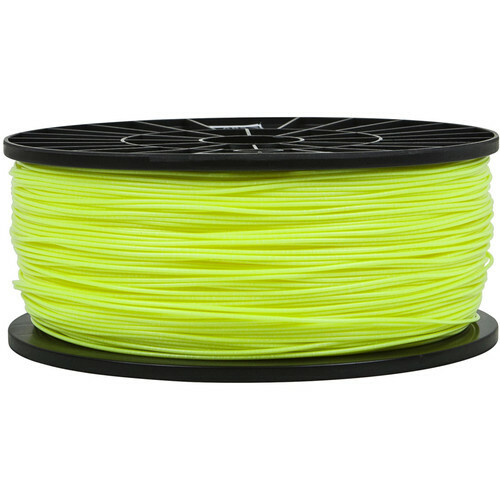 While more susceptible to warping than polylactide (PLA) because of the need for higher temperatures and a heated print bed, ABS has higher strength, flexibility, and durability. Box Dimensions (LxWxH) 8.4 x 8.25 x 3.5"